Over the period 15th to 19th September 2017 Lieutenant General Nick Pope CBE visited Nepal as part of his responsibilities as Colonel Commandant Brigade of Gurkhas and Chairman The Gurkha Welfare Trust (GWT). He was accompanied by Colonel Brigade of Gurkhas, Colonel James Robinson. The first evening was a drinks reception with the representatives of the Regimental Associations Nepal (RAN) who serve as the important group for discussing Gurkha veteran issues. 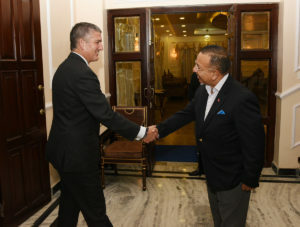 General Pope was able to provide them an update, including an explanation on on-going work to look at the impact of the Indian pension uplift and scoping work being undertaken by the GWT to explore the provision of a broader medical scheme to veterans in Nepal with consultants looking to report at the end of 2018. He held a meeting with the new Head of DFID Nepal and then flew to Pokhara to receive a series of updates on GWT and MOD issues. As ex-Colonel Queen’s Gurkha Signals he attended the QGSIGNALS RAN birthday celebrations and meet many old friends. 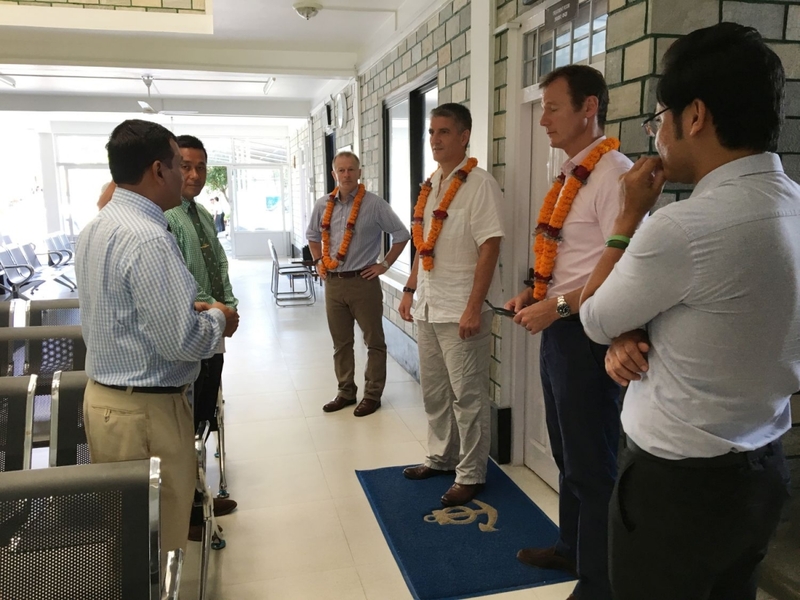 The next day he received an update on the medical upgrade to the Kaski Area Welfare Centre as part of a wider modernisation programme and had lunch with the residents at the Kaski Residential Home next door. 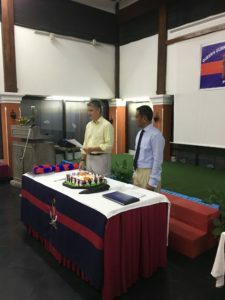 In the evening he attended the Gurkha Welfare Scheme (GWS) Annual Conference photograph and dinner before providing the Opening Address the next morning when he spoke of the need to evolve the way the GWS delivers welfare to an increasingly ageing pensioner group, the need for high quality GWS staff with enhanced TACOS and the synergy that is achieved by operating both with the other members of the Gurkha family (the serving Brigade, Regimental Associations and Gurkha Museum) but also DFID, Kadoorie Aid and other implementing partners in Nepal and UK. 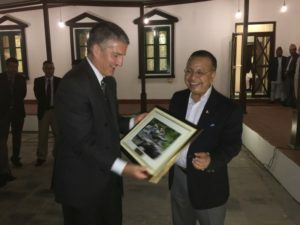 With Colonel Brigade of Gurkhas, he returned to Kathmandu where he had a meeting with His Excellency Richard Morris, UK Ambassador to Nepal, before presenting the Brigade of Gurkhas 2016 Annual Report to the President of Nepal. The audience lasted 45 minutes during which she expressed her delight at the excellent performance and reputation of Gurkha soldiers who, as Nepali citizens, serve as ambassadors for Nepal around the world. General Pope explained that Gurkha recruiting will be open to females in Nepal from 2018 and, even though the selection tests will remain high and gender free, that there would be no quota for females but he sincerely hoped there would be some females joining the Brigade in 2019. The visit concluded with dinner for General Pope and Colonel BG at the newly opened residence of the Nepalese Chief of Army Staff (COAS), General Rajendra Chettri,in his newly opened residence. COAS was delighted to see General Pope again following his recent successful visit to the UK in July. General Pope updated him on a number of areas that the British Army will provide assistance to the Nepalese Army and that he was honoured to accept General Chettri’s request for the Band of the Brigade of Gurkhas to participate in the Shivaratri Parade in Kathmandu in February 2018.